This Fourth of July Word Search activity is a great worksheet to keep the students engaged and learning in the classroom. 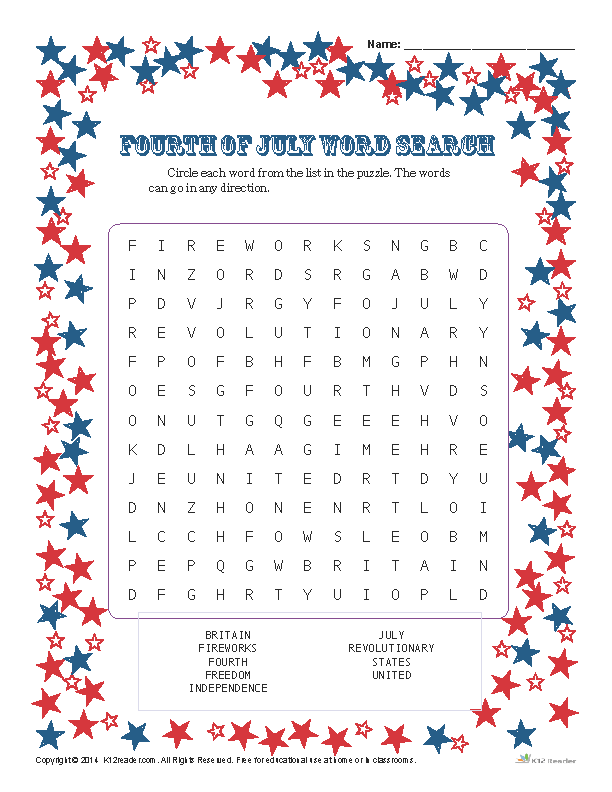 In this activity, students will be asked to find words that describe the Fourth of July in the word search. This worksheet is ideal for grades 2-5.